Most people get greasy hair when it’s dirty, but my hair just gets REALLY dry. Anything that boosts moisture and helps me soften my naturally textured hair is what I’m ALL about! So when Pantene invited me to take the Pantene 14 Day Challenge with the Gold Series Shampoo & Conditioner, I knew I had to give it a shot. 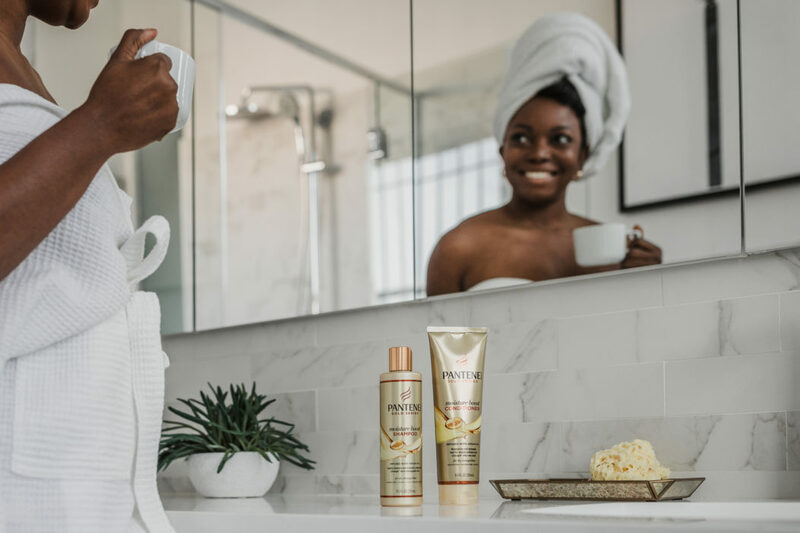 You’re probably wondering what the Pantene Gold Series hype is all about about: it’s specially-designed for afro-textured hair, whether it’s relaxed, natural or transitioning! The products are made to improve moisture, strength, elasticity, smoothness, and shine… i.e. to address the #badhairday worries that just every black girl has, no matter how she wears her hair. 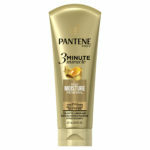 After my first wash with the Pantene Gold Series Shampoo & Conditioner, I noticed how easy it was to comb through my hair — it felt super soft and moisturized, exactly what I’m looking for in a great hair product! Each wash made my hair easier to manage, and the moisturizing effect of the products made me less dependent on the leave-in products I usually use for my hair. After using Pantene for the past two weeks. and completing the Pantene 14 Day Challenge, I’m definitely going to be checking out the other products from the Gold Series collection too. Here’s to more great hair days, thanks to Pantene!